Rejuvenate Your Inner Strength! - Bonny Was Fat. Not Anymore. The Connection Between Hormones and Weight Gain. These two things always go hand in hand. One more peculiar thing about stress and cravings is that one always follows the other. You get stressed, so you end up getting sugar craving to de-stress. Once you get give in to your cravings, you end up being even more stressed because you feel guilty about giving into the craving. In today’s times, our lifestyle is so stressful and hectic that by the end of them all you can think of is a big tub of chocolatey ice-cream, or a bucket full of your favourite fried chicken. These cravings are the result of various hormones secreted by our brain that control our mood and consequently the food cravings. Hormones in fact are responsible for more than these occasional cravings. The ebb and flow of these humans throughout the human body is responsible for the feeling of hunger as well as the parts of the body where fat is most likely to be stored. Even the fat cells of the body are sources of numerous hormones. The general view amongst the people however is that they will be unable to control whatever goes on inside their bodies. What they fail to realise is that there are numerous ways in which these hormone secretions can be manipulated to the advantage of the people themselves. An extensive study of the key hormones has given detail information about how these hormones can be swayed by the people themselves to use these secretions to their advantage. Leptin is one of the numerous hormones that are produced by the fat cells of our body. Leptin plays a major role in controlling the appetite of a person and making him/her feel fuller so that they eat lesser amounts of food. Certain studies have revealed that excessive body fat may make the body resistance to the effects of leptin. This means that the brain does not register the presence of leptin in the body even though it is present in huge amounts in the body. The exact reason of this condition is as of yet undiscovered, but the most widely accepted theory is that due to the fat cells of the body churning out inflammatory chemicals which block the action of leptin, the body starts to feel like it is food deprived. However, this is just a feeling and is not the real deal. It is due to the basic survival instincts of a human, the metabolism rate of the body lowers and the brain constantly sounds the hunger alarm, thus forcing the person to eat. The best way to combat this condition is through diet and exercise. According to Scotts Isaacs, an endocrinologist in Atlanta, the best way to combat this condition is by eating a bowl of vegetables every day before 10 a.m. since it makes a person feel full throughout the day. Cortisol is the stress hormone released by the adrenal glands. It is also responsible for the binge eating or the sudden hunger pangs. It has also been concluded from various studies that cortisol causes fat accumulation, especially in the abdominal region. Serotonin, on the other hand, has a calming effect on the body, and naturally supresses the appetite of a person. In order to get the brain to secrete serotonin, one can eat a good amount of folate rich lentils, spinach and asparagus. The vitamin B present in these foods helps the brain synthesise serotonin. 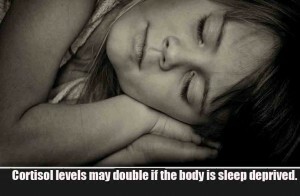 Getting a good night’s sleep also helps since studies have shown that cortisol levels may double in the body if it is deprived sleep for a night. Insulin secretion is the first response of the body every time it is net by a sugary drink or a carb laden meal that increases the blood sugar levels. The primary duty of insulin is to attract the extra glucose (sugar) from the bloodstream. Excessive consumption of carbohydrates rich food such as pasta or bread, or sugary foods, may cause these extra calories to be stored in the body in the form of fat. In certain cases this extra fat added to the body can cause insulin resistance in which the cells become less responsive towards the hormone, or it may also cause diabetes. 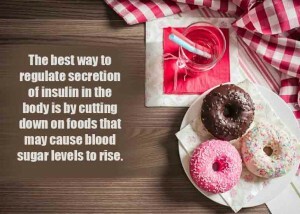 The best way to regulate secretion of insulin in the body is by cutting down on foods that may cause blood sugar levels to rise. According to a study, the removal of food items such as soft drinks, white breads and pasta is a great start. Eating more fibre rich foods will also help since fibre slows down the absorption of glucose into the bloodstream. So through this post, I wanted to tell you about the various aspects related to diet, such as hunger pangs, etc, the causes behind it and the ways to control it. I hope that my purpose has been solved. Now, the next time you are experiencing those hunger pangs, you know where it came from, but you also know what to do about it. 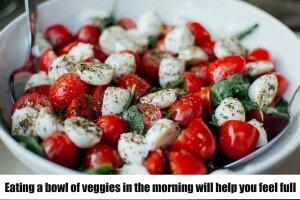 Get that bowl of veggies and dig in!